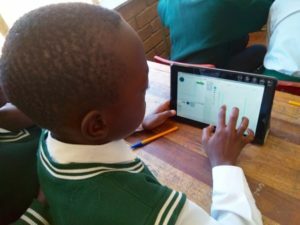 The Standard Bank Tutuwa Community Foundation is partnering with JASA to provide STEM2D Programmes to a cohort of learners, from five schools in three provinces, for six consecutive years, beginning this year when the group is in Grade 7. 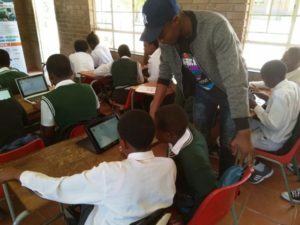 This month the students are being exposed to digital skill workshops, conducted by long-term partner Siyafunda. 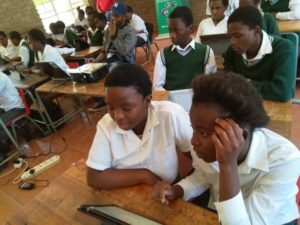 The students not only get to learn the basics of how to use a computer but are also introduced to the coding language, Scratch, on the second day, where they learn to programme a computer game. 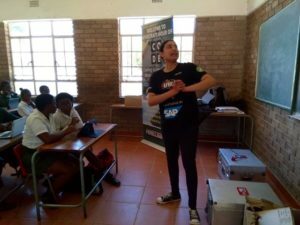 The workshops occurred at the Ndabeni, Beretta and Timbavati Combined primary schools in Acornhoek, Mpumalanga, on 8 and 9 November. 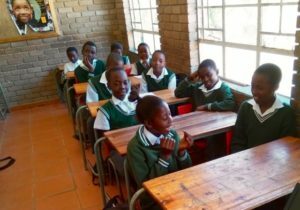 Further workshops will take place later in the month at Setshabelo Primary School, Welkom and Mathlasedi Primary School in Krugersdorp. 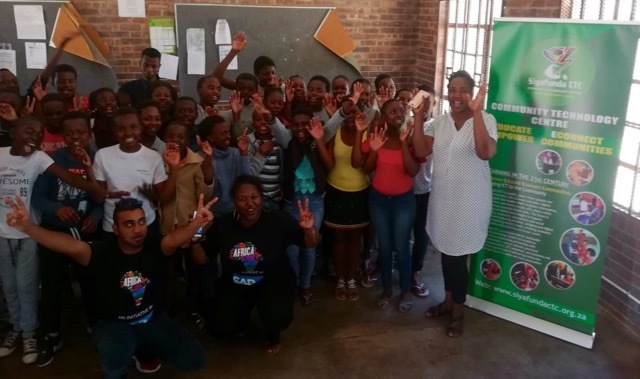 By all accounts this experience has made a lasting impression of the students in Mpumalanga. 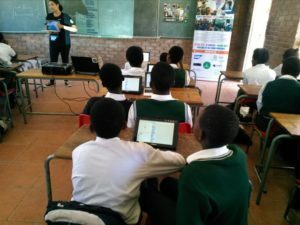 In the interactive workshops, the emphasis was on learning through fun, and there was even time to play a tug-of-war. 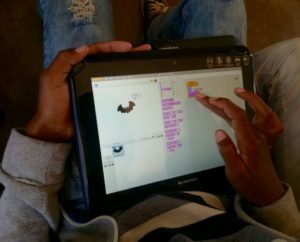 Students were so proud when they got to present how they had coded the games to work. 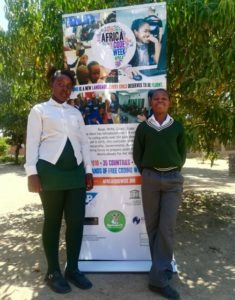 Siyafunda facilitator Lutfiyya Patel interviewed two students from Ndabeni Primary School. 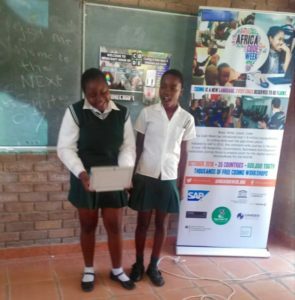 Ntsako says that even though it was a little hard, it was really fun and she was surprised how quickly she could understand enough to start coding. 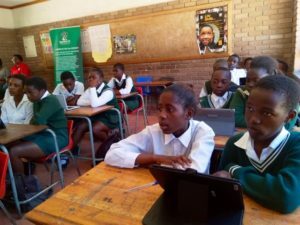 She is hoping to use this programme in the future and was happy to learn the basics of using a computer combined with learning the beginnings of a coding language. 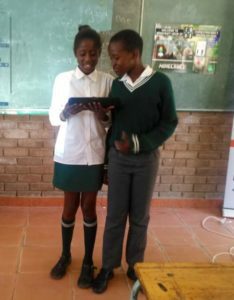 Another 13-year old in the class, Nolenbangu, also expressed her excitement at learning to code a game that she could then see in real-time. 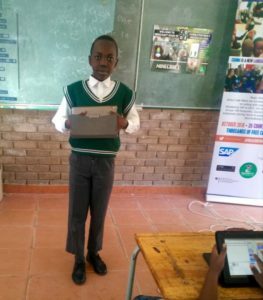 She hopes that she will have further opportunities to learn more coding, as she grows up. Loads of interactive fun is built into the workshops. 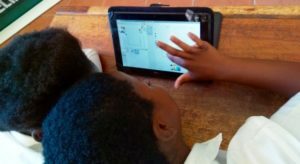 Posted in Entrepreneurship in education, STEM2D.